I was on my usual trip to my fave natural food store to buy fruits and veggies and while walking around the store, I noticed some Miracle Noodles in the refrigerated section. Having heard so much about these "Guilt Free, Zero Calorie, Soy Free, Gluten Free, Cholesterol Free Noodles", I got curious and decided to buy some. At $2.39 per 7-oz. pack (which is the same price I pay for a 16-oz egg or rice noodles at the Asian Store), I honestly thought they're expensive but nevertheless I bought 1 pack each of the two available varieties, the Angel Hair Pasta, and Fettuccini Pasta. There was also Miracle Rice so I got 1 pack of that too. First, Miracle Noodles, come in plastic liquid filled packs, and there's this distinct smell when you open it. That could really gross you out just like what it did to my daughter. But thankfully, the smell will go away after rinsing the noodles/rice in cold water and will totally be gone after boiling them. While rinsing, they feel a little slimy at first, but just like the bad smell, that will go away too. Second, Miracle Noodles don't taste anything like regular noodles or pasta, and the Miracle Rice which is intented as a substitute for Pastini, Rice, or Orzo doesn't taste anything like any of those. In fact, they are tasteless and flavorless. The miracle about these products is that they will take on the flavor of whatever sauce or dish you add to it. So if you want a good experience with Miracle Noodles/Rice, pair it with something flavorful, or else you'll end up eating bland tasting noodles/rice. Third, the texture of both the Miracle Noodles and Miracle Rice is kinda rubbery, which makes them weird to chew. But it's easy to get used to. Just be sure not to overcook them because any length of overcooking makes them even more chewy. If it's your first time to try Miracle Noodles, you may want to experiment to find which noodle is most appealing to you. I suggest you try the Angel Hair Pasta first. They are thinner and therefore, has more tolerable texture compared to fettuccine. It's more like thin Asian rice noodles. It's nothing like any flour pasta. Out of the three products we tried, I find the Miracle Rice to have the most tolerable texture since it's a lot smaller than the noodles. Summing it up, I can say that Miracle Noodles are worth a try especially for those who are trying to limit their carb intake. Aslo known as Shirataki noodles, Miracle Noodles are great for most diets because they have no carbohydrates, no sugar, and no cholesterol. 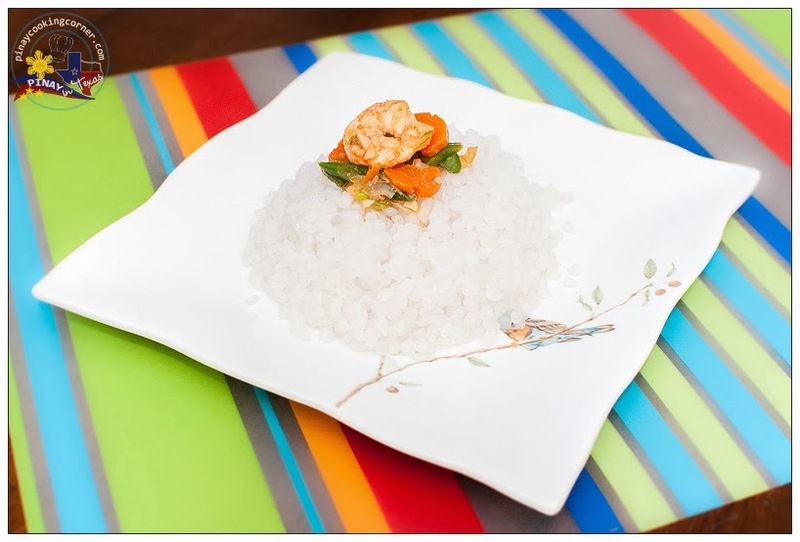 It is made of Konnyaku flour which is very high in fiber and extremely low in calories. Not everyone will like it for sure, and its lack of taste and flavor will definitely be a problem to some, but knowing how to prepare it the right way will definitely help you enjoy this healthy pasta/rice alternative. 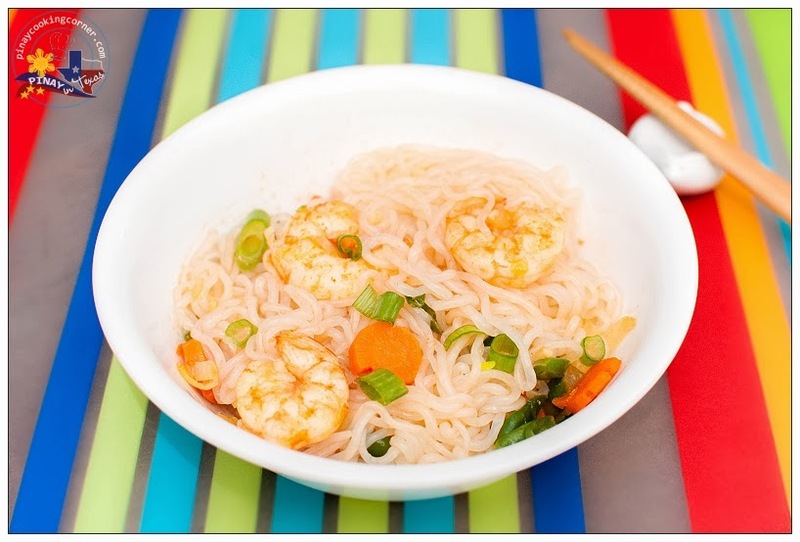 You can check out the Miracle Noodle website for recipes and preparation info. You can also download a FREE DIGITAL COPY of their 87 page Cookbook and Diet Plan for the whole month of October. It's usually sold for $29.99, so hurry! If you ask me if we're going to eat it again, my answer is yes....BUT I guess we'll stick to the Angel Hair Pasta which seems easier for me to incorporate with the noodle dishes that I usually cook because it's very much similar to the cellophane noodles which I frequently use. So where can you buy Miracle Noodles? Well, they can now be found in the refrigerated section of most natural food stores not only here in the US but worldwide. The full range of products is also available for purchase online at Miracle Noodles website. 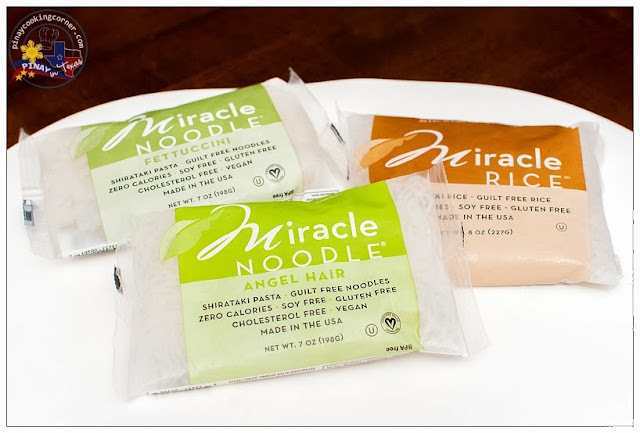 The Low Carb Grocery, which has been providing quality low-carb products since 2004 in the local Toronto area through its retail store in Markham and the rest of Canada through their online store also carries Miracle Noodles. If you are into low-carb diet but still want to enjoy the goodness of noodles, Miracle Noodles might be what you're looking for. Check out this video and learn for yourself what these noodles have to offer!